If you enjoy following reality talent shows, Google’s latest search update will get your vote. The company will soon allow users in Asia so they can cast their votes for their favorite contestants on shows like Idols, Got Talent and The X Factor right from search results on mobile devices and desktops. From the supplied images, it appears that all you’ll have to do is look up a show and then tap on any of the current contestants who are still in the running to vote for them. 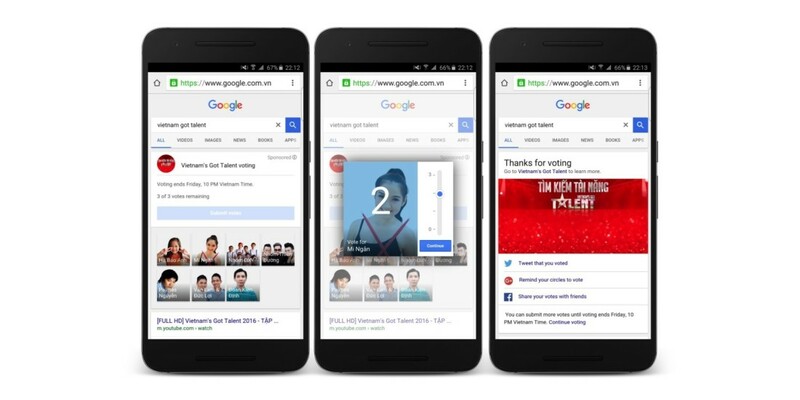 Vietnam’s Got Talent has already signed up to support Google’s new feature, and The X Factor Indonesia successfully trialed it last year. FremantleMedia, the firm that produces the aforementioned shows, says that it will expand to include users in India, Indonesia and Thailand across of its properties soon. The new voting mechanism will work alongside traditional methods like texting and placing votes via second-screen companion apps for individual shows – but it seems like it’ll be the most easily accessible of the lot.